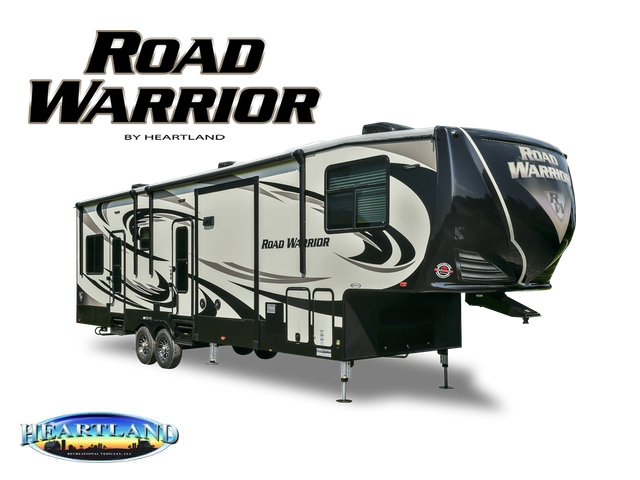 It's a Luxury 5th Wheel and a Toy Hauler... Road Warrior Toy Hauler by Heartland Multi-Lifestyle Vehicles by Heartland combine all the best that fifth wheel RVing has to offer with the versatility of a toy hauler. 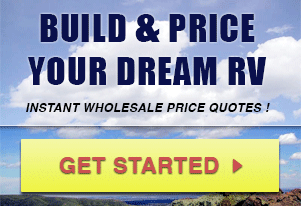 Road Warrior offers unique floorplans, each providing the ultimate in interior spaciousness. Amish-crafted cabinets and residential solid surface counter tops for a truly luxurious look and feel. Elegant furnishings including LED lighting, hard sided window valances, night shades and built-in entertainment centers provide a unique touch you might not expect in a toy hauler. Road Warrior Toy Hauler by Heartland owners really enjoy amazing scenic views through oversized windows in the living areas.